Into the bare teeth of the mountains again — Salkantay a formidable presence at the end of the valley — freezing gusts and spiteful peltfall against taut tent walls the night before, before a 4am quieting misting full moon frame, looking up willing and speaking across space. With the sunrise I’ll set off alongside horse burden porters and a few late season gringos with carbon fiber telescoping sticks, fascination mystification skepticism. A Peruano guide eyes the fat tires, Revelate setup, “you have a stove?”, nods, laughs approvingly, says there will be difficult spots. Luminescent pinpoints in his eyes suggest approval. From Mollepata I finally find the parallel to the road singletrack, pushing lost with misgivings along an aqueduct until a gray septuagenarian astride a lanky mare trembles, mumbles, “up, yes, up, it just winds higher.” I arrive Soraypampa late afternoon with curtains of rain wrapping around me, enough for today. Ride push drag, I’m alone with echoes of “just a little more, until the top.” Three hours of steep traverses, up the seven snakes to the 4,600 meter pass. The descent is lowspeed picking through boulders concentration, consumes skills honed elsewise, avalanching through eco zones. Rocks drops pits of donkey hoof pocked mud, babyheads sideways drift brakefade. Soon the tilt goes proper Peruvian, I’m on track to lose six thousand feet off the deck, a dirt doubletrack along the rio Huamantay into a jungle, oversized leaves and biting bugs and tendriling branches. Two days hard riding, a capable bike mandatory, jaw set to finesse and concentration. Luminescent pinpoints and set jaws . . . what more does one need for success? Do you believe it possible, and enjoyable, on 26″ bikes with 2.2″ tubeless tires? Absolutely. Travel light and have suspension if you can. We would be on carbon hardtails, front and rear panniers. Of course “attempting” to travel light, but certain needs occur: tent, sleeping bag, pad, cooking equipment, etc. Bike is 21 lbs / 9.5kg, OMM racks (front & rear) – likely a 50 lb / 23kg rig when loaded. Kestrel CSX. 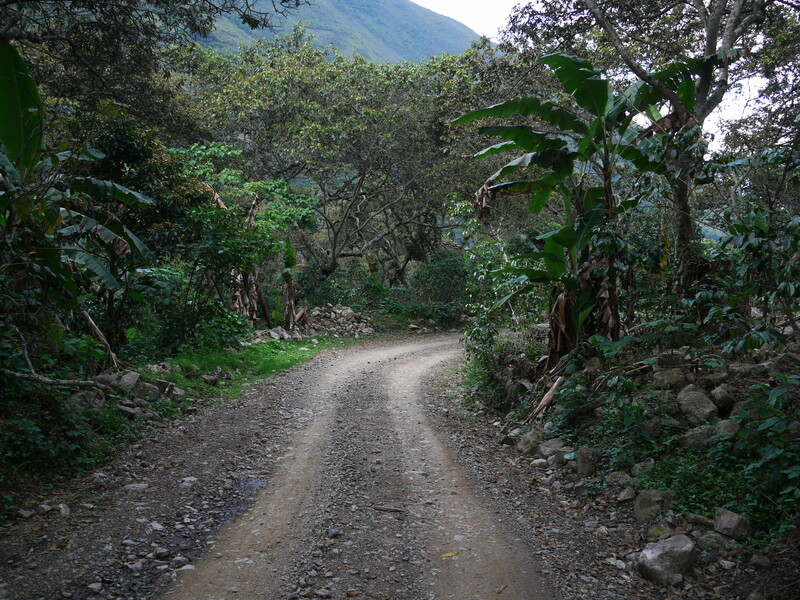 Wanting to ride the Salkantay valley north, check in on MP, and revolve around through the Amazon via the Lares valley (Santa Rosa, Quillabamba, Quebrada Honda, Lares, Calca) back to Cuzco. Jaelous about your trip. In october this year were willing to ride with MTB from lima to cusco with some challenges in between (one will be Salkantay!). Have you got tips – other trails you can recommend on the way? And last but not least – we cannot find any good maps from Peru (when checking google maps – roads on google don’t seem to be existing on the satellite images). May be you can help on this? You use a garmin? Hello Joris, thank you for visiting and for your kind words. You will no doubt have a wonderful time in Peru in October. 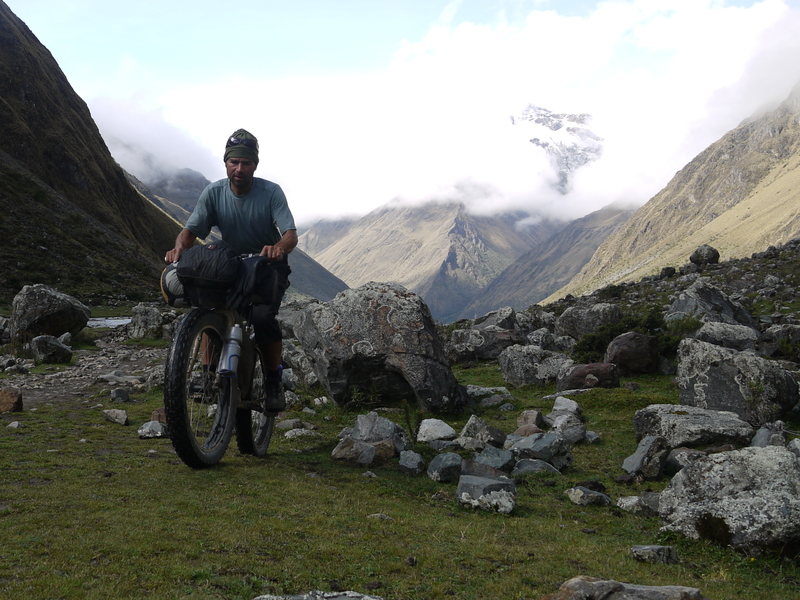 Of course there are many incredible places in this world, but—for rough country bicycle touring—Peru ranks with the best. I am stepping out at the moment but will look at my notes on routes through this area and will share anything that I find. Thanks – that’s allready usefull. Definitely gonna check out the app on my ipad in a sec. Maybe we can have contact via mail – a little more easy (also you can share attachments then). I have an excel with our original route, but we have to rescribe this because we ride along the route of the VRAE in the amazon area. So everything is helpfull (cordillera blanca we won’t visit). 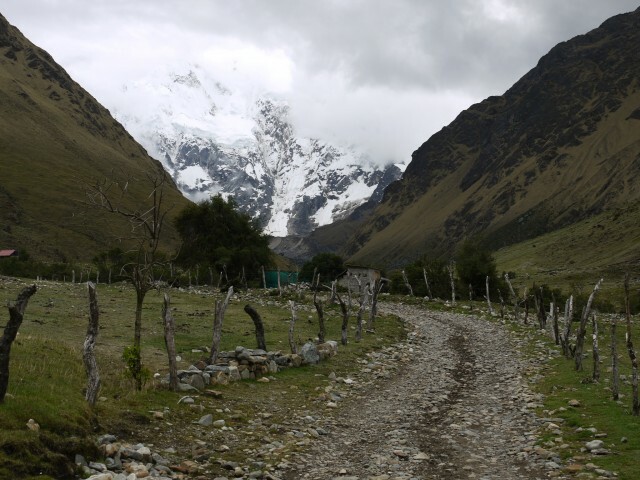 hey Joe, we are approaching the Salkantay trail in the next week or so! Did you have any problems carrying on past the Hydro plant? The only thing holding me back is the idea that we get turned away and have to take the Panamerican into Cusco! Hey Fatcycling crew, great to hear from you! The Salkantay section is terrific. Even the push up the seven snakes won’t take very long, an hour or so as I recall. I had no problem. My friends Tom and Sarah did get turned back when they tried doing it during the day two weeks later. Good luck, tell me how it goes and get in touch if I can help or if you need anything. Hi Joe, It was fun to re-read this after having done the Saltankay trek over Xmas break. Really beautiful, and we were fortunate with the weather (not much rain). As I was hiking, I was thinking about what it would be like to ride it on a fat bike (I hadn’t recalled you had done that route). I just acquired a fat bike – we are having a bit of fat bike mania here in the western suburbs of Boston. they are big fun!